1m height by 1.5m spread. Slow; it reaches its full height in 10 to 20 years. Rounded, white edged, deep green leaves. Leaves are tinged pink in winter. Tolerates coastal conditions and other exposed locations, and can be grown in a container. 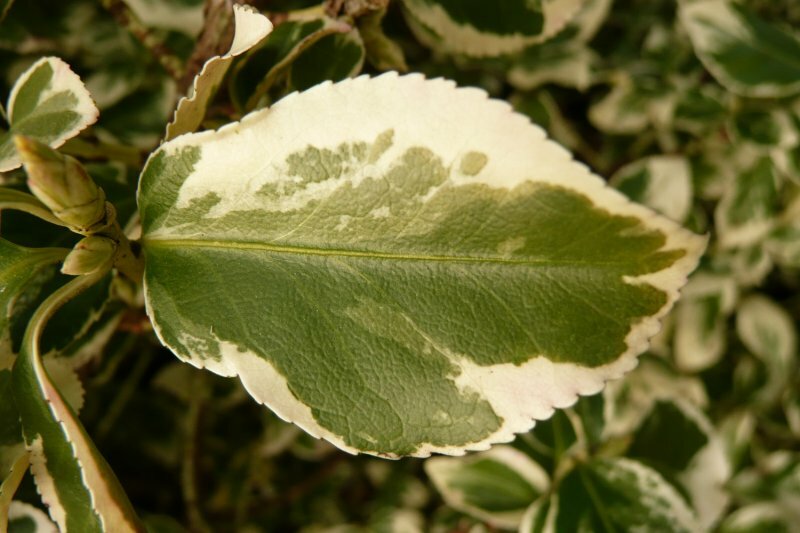 Rounded, white edged, deep green, evergreen leaves. Leaves are tinged pink in winter. It rarely flowers. 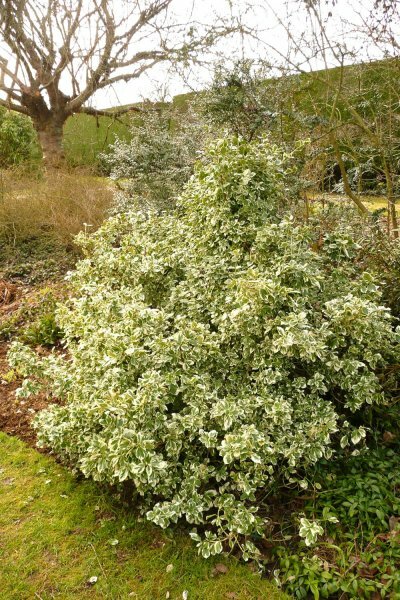 Can suffer from caterpillar and euonymus scale insect attacks. Also prone to powdery mildews and leaf spot.